The Irish team to defend the European Senior Ladies Team Championships travel to Slovakia this weekend ahead of Tuesday’s opening day. 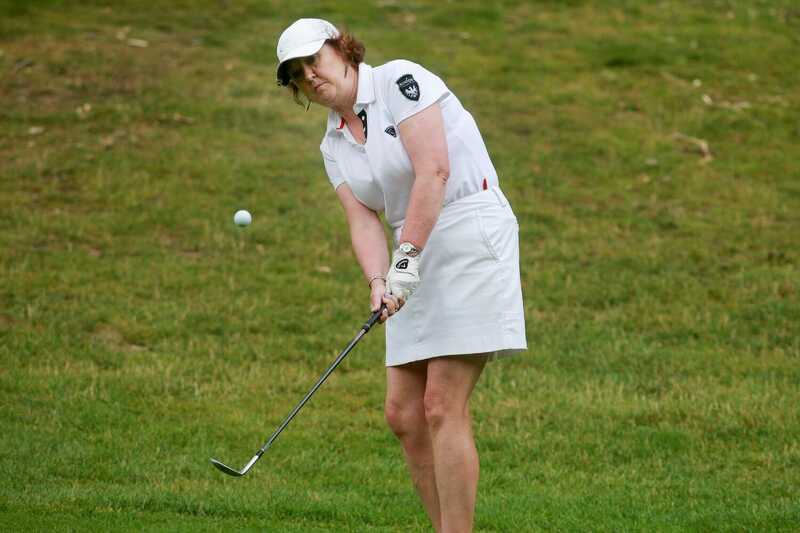 Image by Pat Cashman: Suzanne Corcoran (Portumna) on her way to winning the 2017 Irish Senior Women’s Close at Bunclody. Captained by Headfort’s Pauline Walsh for the second year, four of the six who assisted Ireland in claiming the top spot in 2016 return for this year’s renewal. Suzanne Corcoran (Portumna), Sheena McElroy (Grange), Gertie McMullen (The Island) and Laura Webb (East Berkshire) will be joined by Maria O’Reilly (Headfort) and Catherine Reilly (The Heath) who will be making their debut appearance at the European Championships. It’s always a proud moment to don the green and we wish the ladies the best of luck in their bid to retain the title.